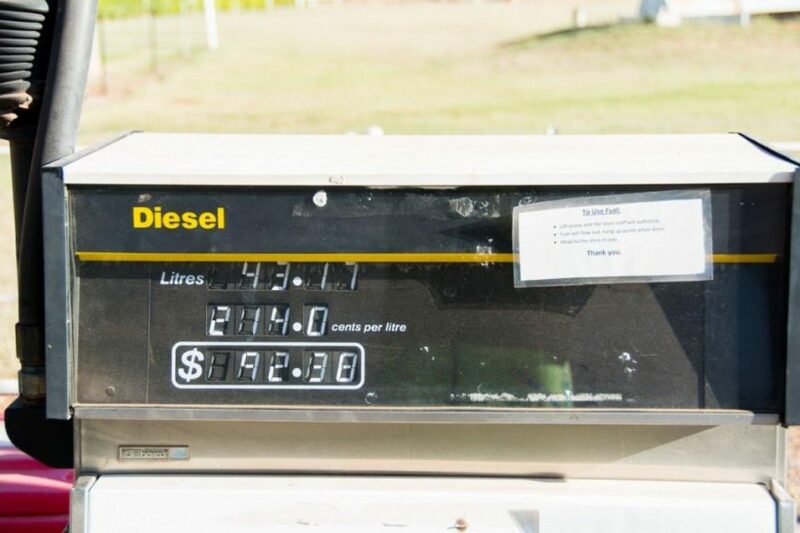 How many times have you had someone say to you their 4WD is only getting 500km out of a tank of fuel? What does that mean to you? How big is the fuel tank, and how far are they running it down? What size engine, tyres, and driving habits do they have? Were they doing 90km/h on flat ground, or sitting on 110km/h up and down hills on cruise control? Fuel economy varies wildly depending on where and how you are driving. You can easily monitor your fuel economy every time you fill up; it takes a few seconds to do! 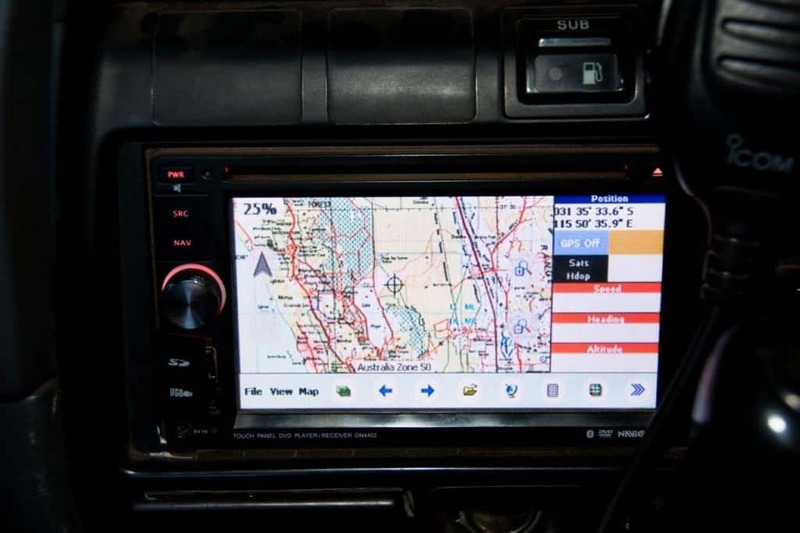 It is very useful to keep an eye on your fuel economy, as you can plan your fuel stops for future 4WD trips, ensure the vehicle is running as it should and understand how different conditions can change your fuel consumption. The first thing you should really do is ensure that your speedometer is correct. If you have changed tyre sizes, there’s a good chance it won’t be! If your speedo is not correct, your trip meter won’t be either. You can do this one of two ways; drive along with a GPS at 100km on the speedometer and see what the GPS says (less accurate), or drive 100km on the vehicles trip meter, and see how many km you have done according to the GPS. There will be a difference if you have changed tyre sizes as the bigger the tyre the less revolutions per kilometer it will do, compared to the original tyres on the vehicle. This puts your speedo out. For people that have gone from 265’s to 285’s (or 31’s to 33’s) your speedo is usually out by 5 – 10%. 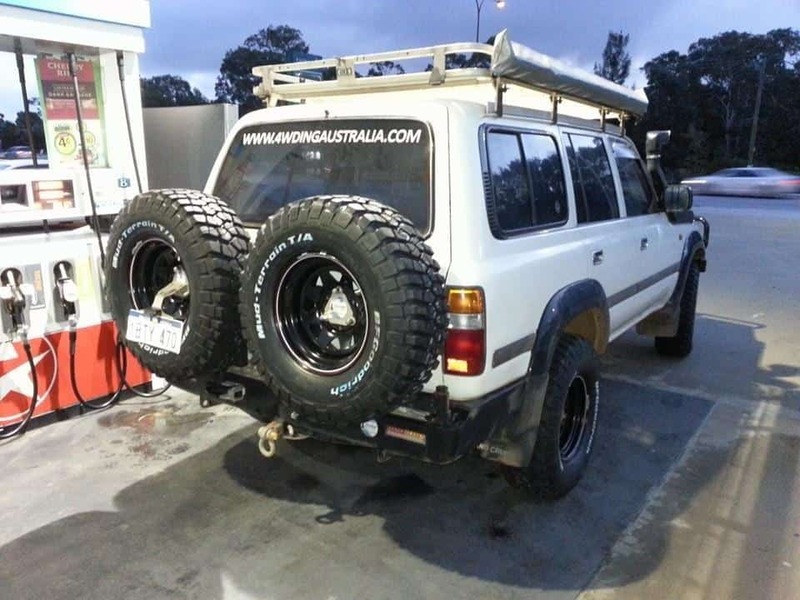 Fitting bigger tyres to your 4WD usually results in worse fuel economy. How much, is dependant on many factors; see the link for more information. For our 80 series, 100km on the trip meter is actually about 105km – its out by 5% due to the larger diameter tyres. Once you understand the difference in your speedo, you can work your fuel economy out every time you fill up. Simply remember to add 5% of your trip meter to the reading, and you can get an accurate economy figure. The easiest way to work out your fuel economy is done when you fill up at a service station. Fill the tank all the way, until the nozzle clicks. Once you’ve paid, get back in your car (move out the way!) and reset the trip meter. From there, drive your vehicle around until you want to fill it up again. When you put more fuel in, fill it up again until it clicks, and take note of the number of km you have done on your trip meter. If you haven’t changed your tyre size, you can skip the trip meter correction step. If you have changed your tyre size, remember to factor in the extra km you have actually travelled due to the tyres. Lets say we put 98.5L of diesel in our 80 series, and we’ve done 653.8km on the trip meter. We know the trip meter is out by 5%, so we multiply 653.8km by 1.05. This gives us a correct reading (after factoring in the tyres) of 686.49km. From there, simply divide the amount of fuel you’ve used (98.5L) by the number of km (686.49). The result needs to be multiplied by 100. This gives you an accurate fuel economy reading of 14.35 litres of diesel per 100km. 653.8 x 1.05 = 686.49km done on 98.5L of diesel. (98.5/686.49) x 100 = 14.35 litres of diesel per 100km. You can use a number of different apps which work out your fuel economy and record it for you (Fuelly, Road Trip etc), but remember these won’t work out your tyre diameter changes, which makes big difference. A lot of modern 4WD’s will tell you the average fuel consumption, and estimate the number of km’s you have left in the tank. This is handy, but not always very accurate. This is especially the case if you have changed your tyre sizes, as the vehicles computer works off a certain number of revolutions of the tyre per kilometer, and you’ve just changed that by fitting bigger tyres to your 4WD. When will I use more fuel in my 4WD? The difference between doing 90km/h and 100km/h is huge on your fuel economy (usually a litre or 2 per hundred km). Going from 100km/h to 110km/h is substantially more. Often this is in the realms of 1 – 2 litres per 100km too; if you have the time you can save a huge amount of money by slowing down! Your driving habits play a big role in your fuel economy too. If you are accelerating quickly, braking hard and changing throttle positions rapidly you will use more fuel! Your tyre pressures are critical to good fuel economy. The more you inflate them the better your economy will be. However, if you run them too hard you will have very little traction and risk having an accident. For most 4WD’s tyre pressures in between 30 and 45PSI is appropriate. The moment you tow something, your vehicle has to work harder. Sometimes this is made worse by wind drag, but in majority of cases its just the fact that you are dragging a weight behind your vehicle. Anything that makes your vehicle work harder is going to make your fuel economy worse. by adding things to the vehicle that decrease its aerodynamics (like bar work, roof racks etc) your engine has to work harder to push the vehicle along. This is going to hurt your fuel economy! If you change to a more aggressive tyre pattern, the airflow around the tyre is disrupted, and you will notice a higher consumption. The same goes for adding more weight to your vehicle; if you put a 50kg backpack on yourself you will use a lot more energy to move around too! 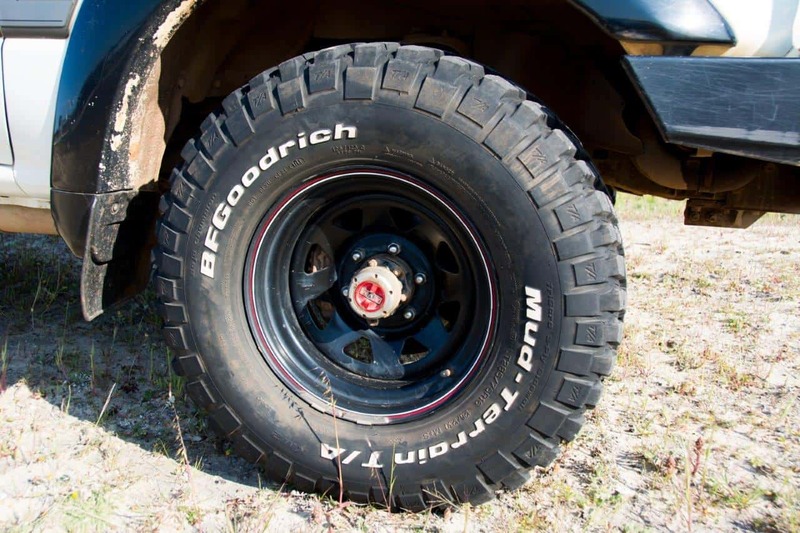 Bigger tyres will make your 4WD use more fuel, as it has to work harder to turn the tyres. Even if your RPM drops at a given speed, your 4WD still has to work harder! For many modern vehicles, having a sensor (like the MAF) slightly dirty will send your fuel economy through the roof. These control the way the engine behaves, and if they aren’t in pristine condition you can expect poor fuel economy. The same goes for Exhaust gas recirculation systems, which tend to cake your engine up with build up. Fuel and air filters are another common cause of high fuel consumption too. There’s a range of other things that will affect your fuel economy, but if you take the time to work it out every time you fill up, you will get an idea for yourself! Our turbo diesel 80 series is not the most fuel efficient 4WD on the market. It’s nearly 26 years old, and has done 374,000km. We knew this when we bought it, and have been extremely happy with it. For general driving around town and taking it easy our 80 gets around 14.5 – 15L/100km. 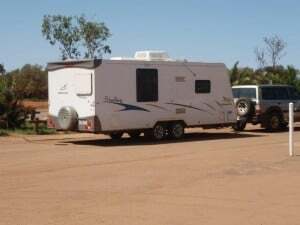 If we are travelling at the speed limit on longer trips with some gear in the back it seems to go up to around 16L/100km, and on our 9000km trip to the Kimberley we averaged 16.7L/100km. This included a fair bit of 4WDing, sitting at 110km/h where allowed and not really taking it too easy. For a vehicle that weighs quite a bit, has bigger tyres, almost every accessory under the sun and is 26 years old, we are extremely happy with it. What fuel economy do you get? What sort of fuel economy you get in your 4WD? Let us know a bit about it, and how often you check your fuel economy! This article was originally posted by 4WDing Australia. I have been talking for quite some time about the need for correction of dash readouts of odometer/tripmeter/fuel consumption when bigger diameter tyres are fitted. Its nice to see it appear in an article, i might not feel the need to say it so much. With my Amarok i get around 9L/100km around town and on trips, and almost crossed the Simpson on one tank with four people and their gear on board. So unfortunately i regard your 80 series consumption as not so good. Good to hear you are aware of the effects of bigger tyres. On many vehicles you can get mechanical correction gears to fix the speedo and odometer. I’d say for the newer ones there would be some options out there too. Most modern utes get fantastic fuel economy; 9L/100km is brilliant, when you consider the weight of a 4WD and their aerodynamics. You are correct; by today’s standards our 80 series is not very fuel efficient; it is 26 years old after all. It’d be fantastic to get 9L/100! There are a couple of misleading statements in this article. 1. Your spedometer may not be accurate in the first place. ADR rules allow your spedo to read; true speed (T) + 4 +10%. My 4×4 overestemated my speed, when I went from 29 in to 31 in tyres the spedo was now correct. 2. ADR rules do not allow your vehicle to underestimate your speed. 3. Using larger tyres may require you to recalibrate your spedo. You are correct. A lot of vehicles do read over, but usually going up one tyre size will either make it correct, or slightly under. Either way, when you check your speedo against a GPS you will pick this up. I probably should have made mention of this in the article. I would say most people don’t bother with the speedo calibration; there would be thousands of 4WD’s out there that have speedo’s which read under your actual speed. 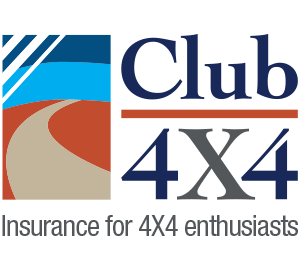 Always a hot topic whenever 4×4 people get together. A few things from my own experience, running a NB Pajero with a Holden V6 and auto ‘box. When I bought it, it was running mud tyres – changing to non-agressive A/T tyres improved fuel economy by about 5%. Running 95RON fuel also makes a big difference to fuel economy – although the $$ work out the same, owing to the increased cost of the fuel. The engine likes it though, especially when carrying loads. Having said that it’s still not flash… 15l/100km loaded on the highway and up to 20l/100km around town…. Some interesting results there. Muddies do have a tendency to use a bit more fuel! I’ve never bothered running higher octane petrol for the same reason as you’ve mentioned. 15’s probably not bad given the combination. Petrol’s always use a bit more fuel, and auto’s add to that. As long as you enjoy it! my vehicle px ranger was reading plus 4 kmph changed to larger wheels and now plus 2 kmph over according to the gps so for me your calculation does not ring true. Your speedo will change by a percentage, calculated off the difference in the two tyre diameters. When you buy a certain tyre size though, it’s not always exactly as specified. Your speedo will always read lower as your tyre size increases. I fitted bigger tyres, and a gearbox from a later model, to my 3.0l 2007 BT50 and by using gps I discovered that rather than reading much faster (and further) than actual speed it now reads slightly slower (and less distance). Rather than recording much better fuel economy than reality it now shows worse economy – if I rely on the speedo. When I checked the speedo distances using my gps I found I needed to adjust by the 8% error to get an accurate reading. I tracked fuel economy, by using one of the iPhone apps, over a recent 9,000 km trip to Darwin and across the Savanah Way to North Queensland towing a 2.5t off road tandem caravan and we returned 15.3 l/100km. 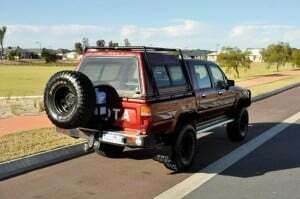 I tow at about 90kph on the highway and as slow as required, on the dirt, to save the tyres. On some of the rough sections we were lucky to do 60 kms in an hour. Coming home into one of the notorious SA storms in July, with 80 – 90 kph head winds, economy went as high as 21 l/100 km. Normal running around our rural home town and occasional trips to Adelaide the ute manages around 9 l/100km. All in all I’m very happy with what it uses. I do take with a large pinch of salt some of the amazing figures quoted by fellow travellers, while sitting around the camp fire or at happy hour. The bloke who swore he was getting 7l/100km, towing a full size van with his Colorado, at the speed limit, must have been ‘on’ something. Good to hear of some realistic fuel economy figures; sounds like you’ve got it sussed and have a great setup. I too have a bit of a laugh at some fuel figures quoted, much like you’ve mentioned. Unless I’ve physically seen the figures I don’t believe them. 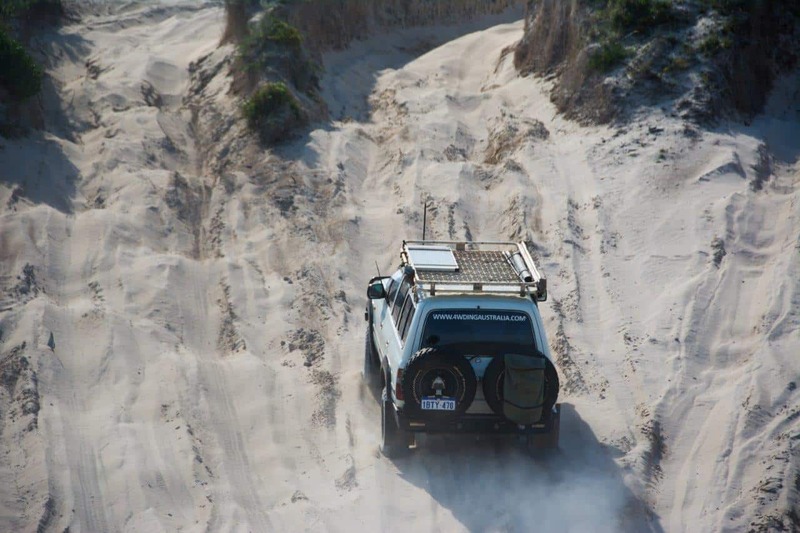 We’ve had up to 35L/100km in our Land Cruiser, driving through sand dunes! Holy crap. 35L/100 for an 80 series. I drive a Isuzu nps 300 running 37″ tyres (not the standard 32″). Touring with the slide-on camper, full fuel (325L) and water (200L) we weigh in at a little over 5t. The worst I’ve ever had is 23L/100 crossing the Simpson via the Madigan Line in 2013 and driving 110kph into a headwind Mt.Isa to Townsville. Normally gets 18 – 19L/100 touring. The truck gets 13 – 15 L/100 around town at 4t as a tradies ute. Crossing the Madigan, my brother’s 80 series returned 14L/100. std wheels though. If you have been playing with tyre sizes or diff ratios on your Fourby, keep an eye out on highways for marked kilometre posts these usually run for 5 k’s . All well and good with the article, however, isn’t fuel economy all about your vehicle? A true reading may be good for bragging rights around a campfire, but I would rather know what my vehicle (200 Series L/C now 3 years old) does, on the highway (11.5l/100), towing the boat (15l/100) and the tandem axle off road van (21/100). It only matters what my odometer indicates the distance to be, as sitting in the middle of the Simpson, out of fuel because you added 5% to the expected distance in your fuel calculation doesn’t seam too bright to me. You are correct; knowing how much fuel your vehicle uses in various circumstances is important, and not something I intended on covering in this article. The main aim of this post was to get people working their fuel economy out correctly, so they can compare with other vehicles (when upgrading etc) and understand how fuel economy changes. I make a habit of working out the economy on each tank, as it only takes a few seconds and you will soon get an idea of how it changes as your driving conditions do. Been driving a Navara STX manual for the last 10 years. Has done 346,000 Kms. I keep a log book for “EVERYTHING” that goes into or on to the vehicle. (Have done the same for my last 4 vehicles) The log is also on a spreadsheet I maintain which when I put in the date, place, cost per litre of fuel, cost of what went in, and distance travelled, the spreadsheet fills in the columns for L/100 km, mpg and km/l. Over the life of the vehicle it has averaged 12.5 l/100km, with a best of 9.99 l/100km and worst of 16.76 l/100km. Yes the speedo is out… 🙁 However I have calculated the error with my current tyres at a mere 3% so a slightly better figure than what I have quoted above is assured. If your magazine would like a copy of this spreadsheet for interest sake, plus my previous one for a GU Patrol, please advise and I will send you a copy. Fantastic; I know some people that do this, but most can’t be bothered. It’s a good reference to look back on for future trip planning etc. I’d love to see a copy – any chance you could send it through to admin@4wdingaustralia.com? 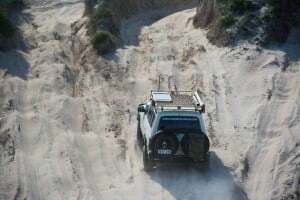 Last trip in November to Eyre Peninsula towing a 3000kg caravan by a 2000yr 100series Landcruiser 4.2 turbo averaged 17.4 inc sight seeing without caravan. 6500km traveled, 5400km towing. Worst in severe wind 23lt/100km best towing was 15.4lt/100km on M31 to Wagga Wagga. Around Sydney 13-15lt/100km on highway not towing 95kph 10.5. Running 285/75/17R. Tug has 300,000km on clock. That seems like pretty decent fuel economy, especially considering the weight. A lot of 4WD’s tend to drink the fuel once you load them up! which servos you fill up at as well make a very big difference i have noticed running a lc 200 on the big trips bp and caltex vortex are my servos of choice and have seen gains upto 100kms per tank with there diesles compared to other servos the cruiser avereages 10-10.5 to the 100km full touring setup with 33’s towing the boat on the other hand and it will do around 17-20 depending on conditions. This is an interesting topic; and one I’ve been reading a bit more about of recent. It seems that a lot of people agree with your sentiments. It makes you wonder what they do to the fuel! This article is very interesting I find all of the comments varied I have just bought a WK 2012 Jeep Grand Cherokee V6 petrol despite the track history of the Jeep,I have found it to be a fantastic vehicle. so I am very happy with the Jeep can’t speek more highly of it. Great to hear; that is pretty impressive fuel economy, for a petrol as well! Jeeps have copped a bit of a bad reputation, but it seems there are still plenty of happy owners. If you ever get pulled over by Mr Plod, never ever claim that your speedometer reads low or Mr Plod has every right to issue a defect notice accompanied by a fine and immediately put your car off the road if it was manufactured after 1 July 2007. By law motor vehicles for export to UN member countries must read at least 4kph high at 40kph, 80kph and 120kph. (UNECE REGULATION NO 39/00 ). Australia adopted this ECE reg as the ADR 18/03. The simplest method to achieve this is to design the speedo to read 10% high. At 40kph this is 4kph high but at 100 this is 110. ECE design rules allow for between 0 to 10% high plus the mandatory 4kph, so at 100 it is still legal to display 114. The speed indicated shall not be less than the true speed of the vehicle. At the test speeds specified in paragraph 5.2.5. above, there shall be the following relationship between the speed displayed (V1 ) and the true speed (V2). That’s fantastic fuel economy, I bet you’d use a lot more if you went up to 100km/h; its a trade off that can pay big time! I drive a 2012 GU8 Patrol 3l turbo .. ex NSW Police. A 6000km trip through central NSW and central QLD to Townsville and return down the coast returned a creditable 14.6l/100. This is towing a 2 ton full height caravan from NSW Central Coast. Speedo reads 10% high at all speeds. I haven’t done the 100km odometer check yet … will that follow 10% out I wonder? I have just bought a used 105 series with the 4.5 motor. Before that i had a M series ML500. The Merc was getting around approx 14.5 L per K around town. The Cruiser is getting just under 20. The merc was almost the same weight as the cruiser, had bigger wheels and tyres but was better on economy than the cruiser, why is that. The other thing with the Cruiser is tyre pressure, have tried higher pressure but it makes the steering very vague, low pressure and its worse fuel useage but better handling, can you tell me why. I keep track of fuel consumption in an Excel spreadsheet. I put in the odometer reading and the litres I filled it with and the spreadsheet does the rest.. My 100 series with a 6.5 turbo diesel returns around 12l/100km around the city.. Towing a 2t boat at 90kmh that goes up to 13.5. If I tow at 100kmh, it hits 19l/100km…. The Toyota 4.5 petrol engines are terrible on fuel. Well documented… As for the tyre pressure thing. Higher tyre pressure means less rolling resistance, but also less grip. As you inflate the tyre it expands. Over inflating will cause it to ‘puff out’ meaning less tyre touching the road.. that’s why it feels vague… To get the right tyre pressure, use the ‘4psi rule’. Record the tyre pressures before you go for a drive. Then when the tyres are warm record them again. (‘warm’ means minimum 30 minutes driving). There should be 4psi difference between cold and warm if your starting pressures were correct. If it’s less, your starting pressures were too high. If it’s more, the starting pressures were too low.. And be aware, front and rear ideal pressures may be different. Hope this helps..